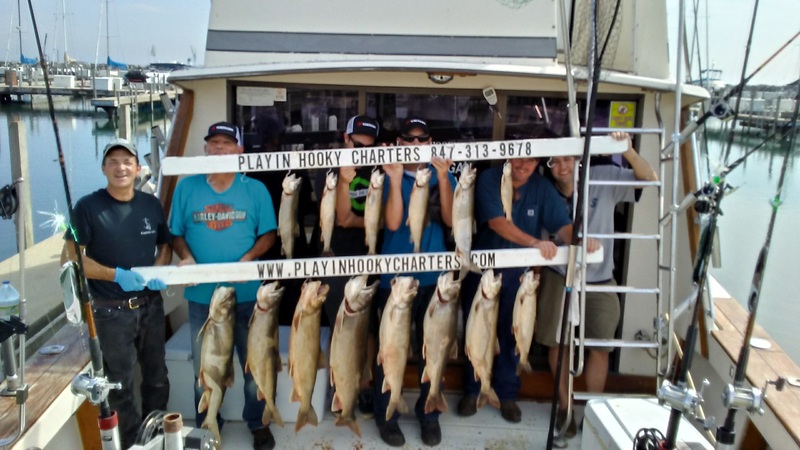 The 2017-2019 Playin' Hooky charter boat photo album can give you an idea of what you may catch while on a charter off Chicago or Waukegan harbor. 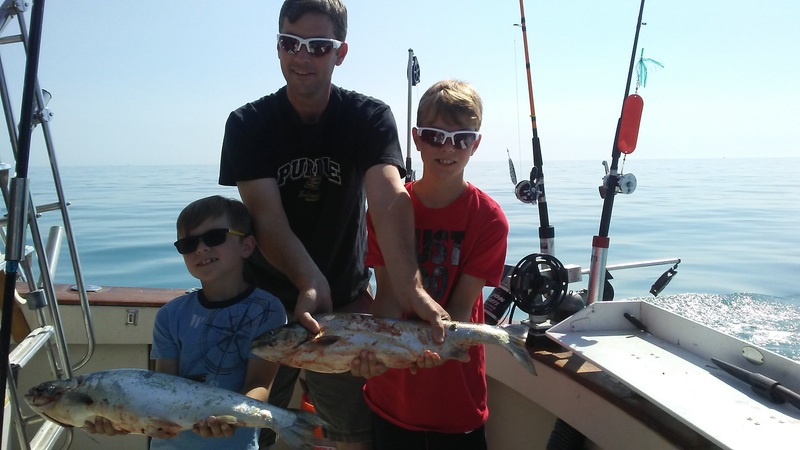 Lake Michigan offers some of the finest fishing in the world. 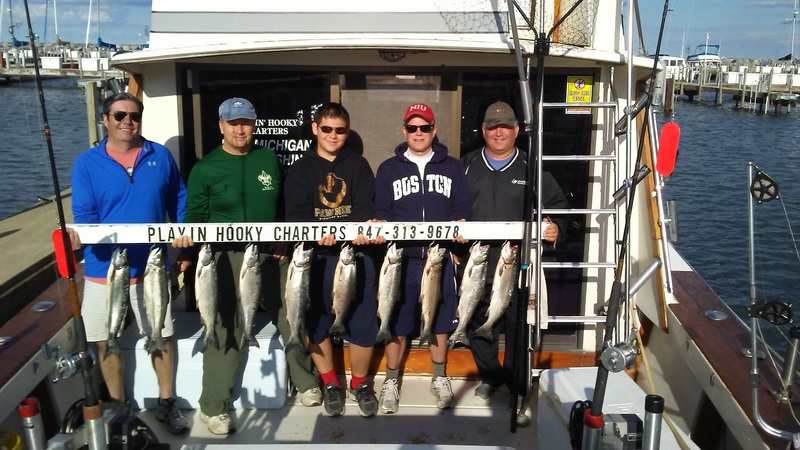 Enjoy fishing beautiful Lake Michigan with Capt. 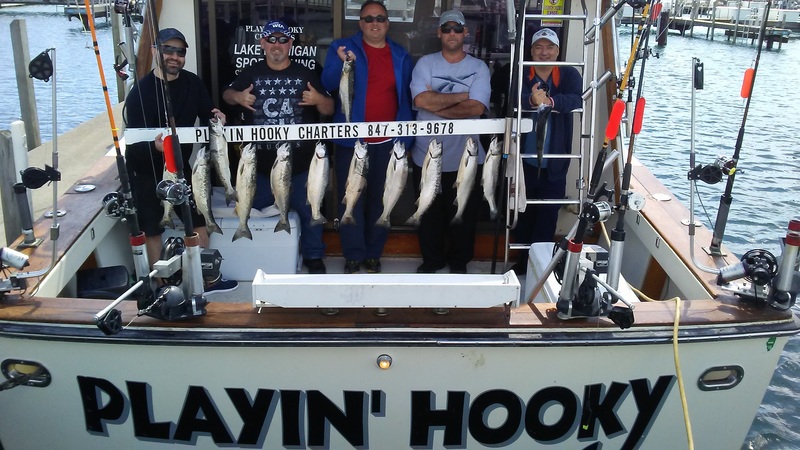 John Wagner aboard the Playin' hooky, a 33 foot Pacemaker Sport fishing charter boat. 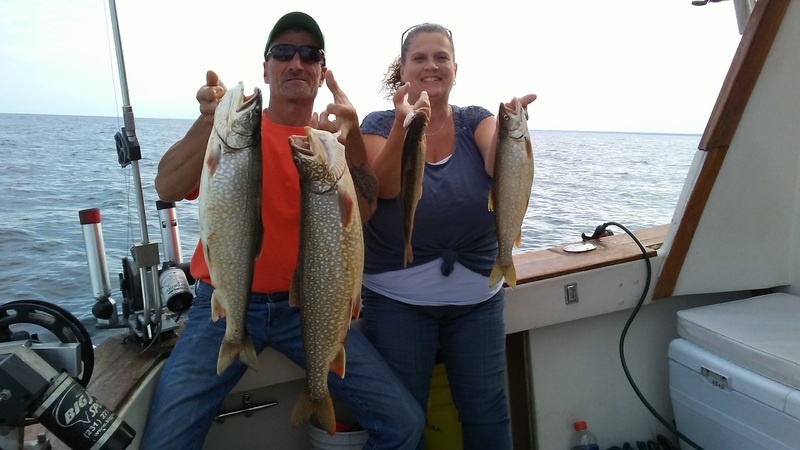 Click one of the images below and the 2015 photo album will open in a new window. Click one of the images below and the 2010 and earlier photo album will open in a new window. 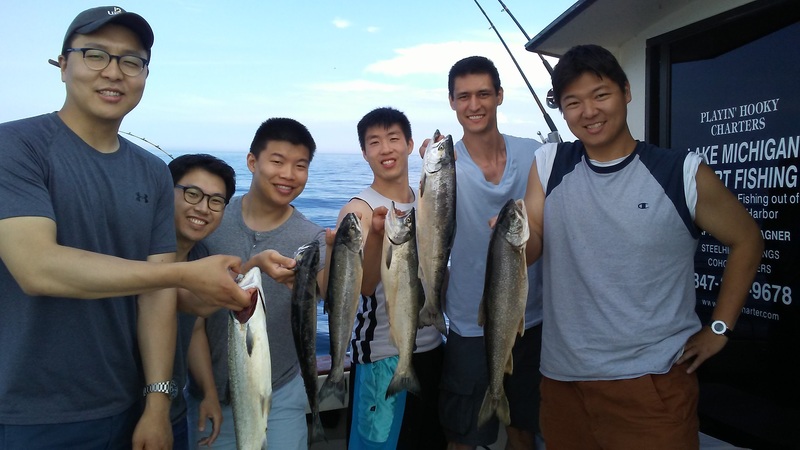 We are located close to Chicago in beautiful Waukegan Harbor and offer Chicago and its suburbs the finest in Chicago salmon fishing charters. 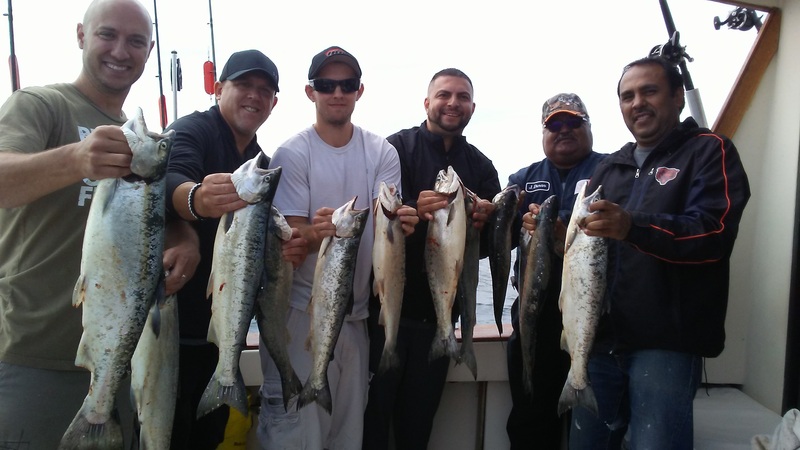 If you are looking for a Chicago salmon fishing charter you have come to the right place! Capt. 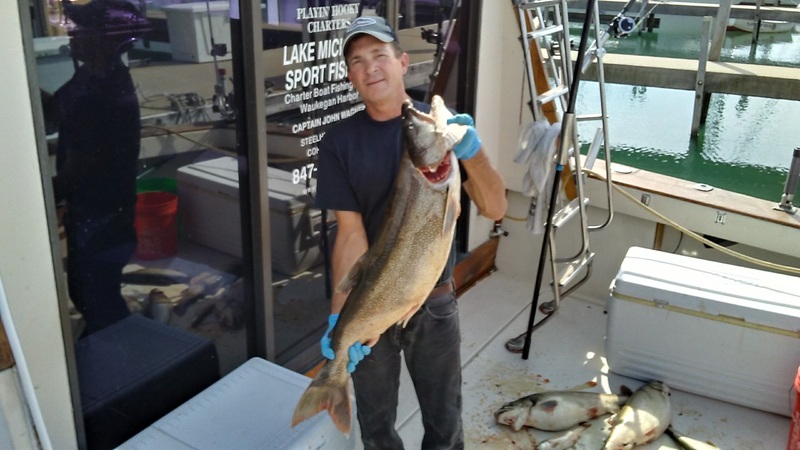 John Wagner has more than 30 years experience fishing on Lake Michigan and is U.S. Coast Guard licensed and fully insured. 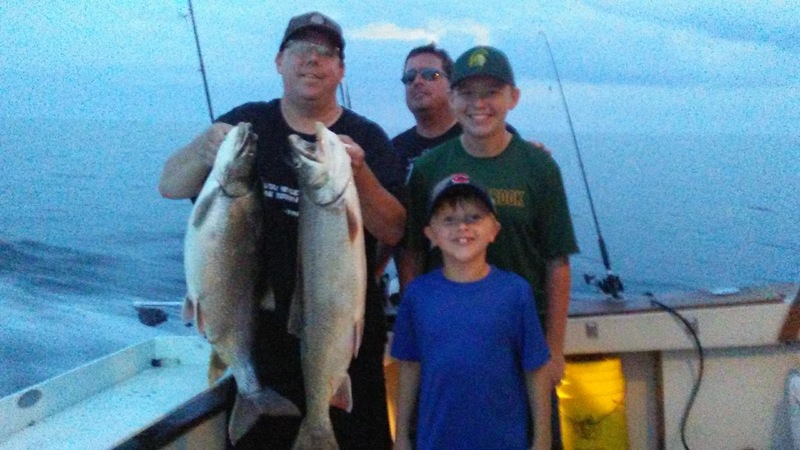 For the finest Chicago fishing charter look to Capt. John. 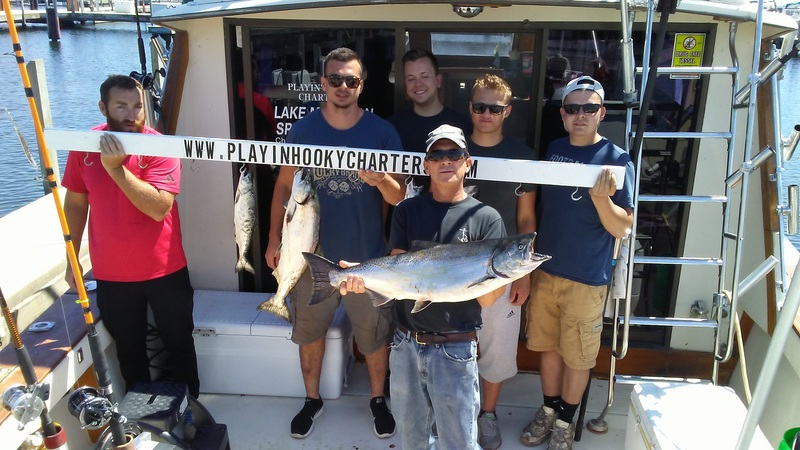 If your looking for a great way to spend a day, or just an afternoon with friends or family, an Illinois salmon fishing charter, or a Chicago salmon charter is a fun and exciting adventure for everyone. 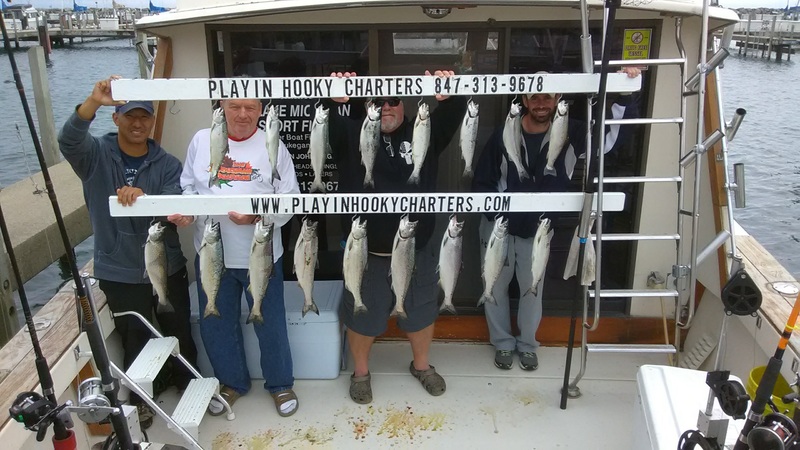 Do you have out of town guests? 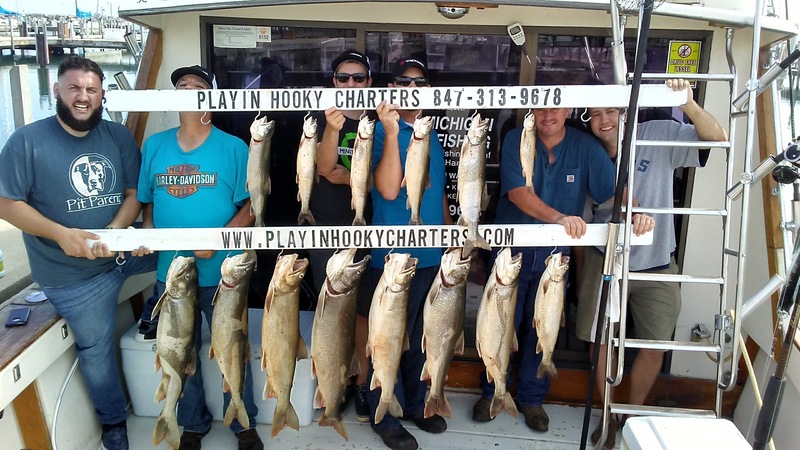 View Chicago from the Lake aboard the Playin' Hooky and catch some big fish, you and your guests will be creating memories that will last a lifetime.